A Dramatic Tale of the Caribbean Sailing Tradition wins support from creative boat seller Boatshed, the world’s largest yacht brokerage, announces its partnership with Indian Creek Films for the August 6 screening of the film Vanishing Sails. Fifteen years in the making, Vanishing Sail is the story of how the centuries-old tradition of sailboat building was kept alive in the Grenadine islands. A haunting, captivating story that will pull heart-strings and etch in the mind of every viewer. At Boatshed we have a real passion for boating and sailing, and a fine film like Vanishing Sails helps people to know the great experience of sailing. Alwyn Enoe is one of the last boat builders practicing a trade passed down the generations from Scottish settlers that arrived in Carriacou in the 18th century. Approaching his 70s, and with no more orders coming in, he decides to build one last sailing sloop with the hope that his sons will continue the trade. 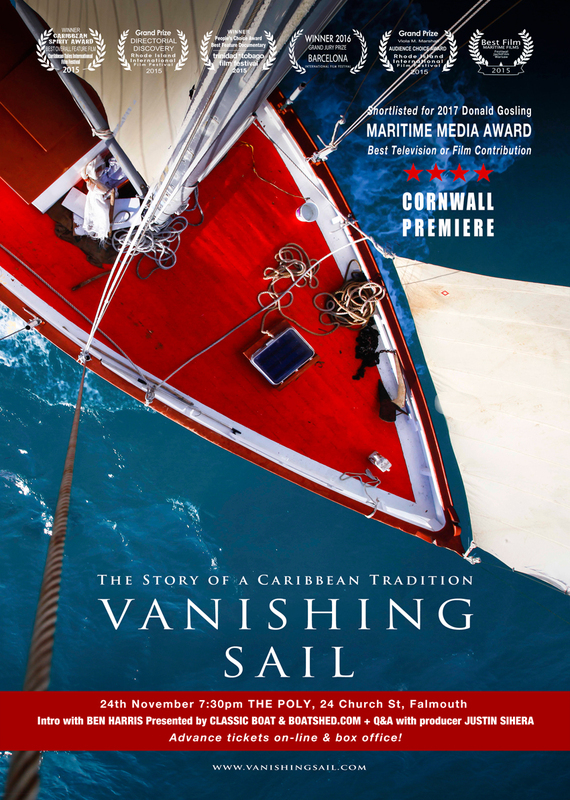 The film follows Alwyn’s progress and despair over three years – from hauling trees out of the forest to a final traditional launching ceremony on the bayside to his decision to compete in the Antigua Classic Regatta...Stories of trading by sail and smuggling contraband told by some of the last old Caribbean sea characters weave through the film. Says Director Alexis Andrews: This is the story of Alwyn Enroe: Using simple tools, and a lifetime of knowledge, he and his sons created something more than just a beautiful sailboat: The possibility for these once-proud traditions of the West Indies to continue. Indian Creek Films has spent fifteen years researching and documenting the art of wooden boat building in the Caribbean. To help revive these unique skills, we have launched five 42-foot sailing vessels in the community of Windward Carriacou. Our next goal is to build a West Indies Schooner for youth sail training and seamanship. The Gosport, Portsmouth-based Boatshed, the world’s largest yacht brokerage, sells more boats than anyone else, and sells them faster than anyone else, thanks to its online platform, and cutting-edge technology, Boatshed has also disrupted the industry by creating opportunities within the sales process for entrepreneurs in the marine trade. Boatshed prides itself on giving potential buyers the most complete and accurate picture of the boat that they want to buy. Boatshed’s highly qualified brokers manage every aspect of the sales process with the support of our international corporate organisation.